Socotra is an isolated island, situated around 250 miles off the coast of Yemen. It is a small archipelago of four islands in the Indian Ocean. The exclusive characteristic of Socotra Island is to home of some of weirdest looking plants that are found nowhere else on planet earth. 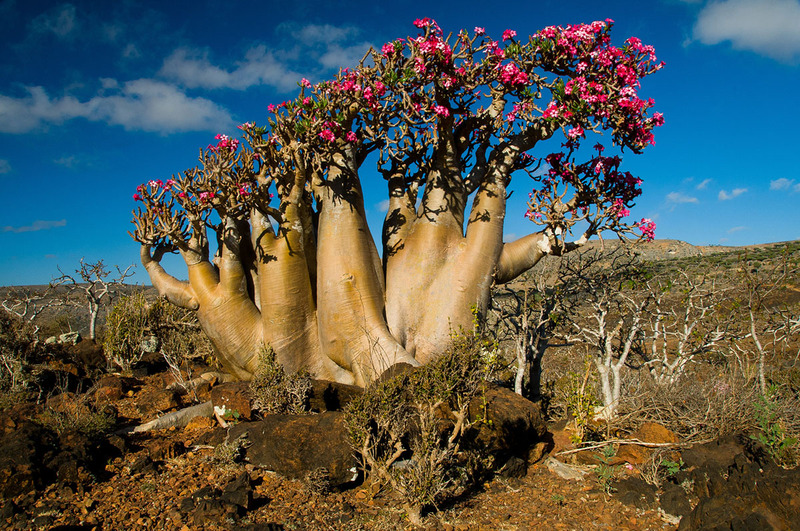 The largest member of the archipelago also called Socotra. 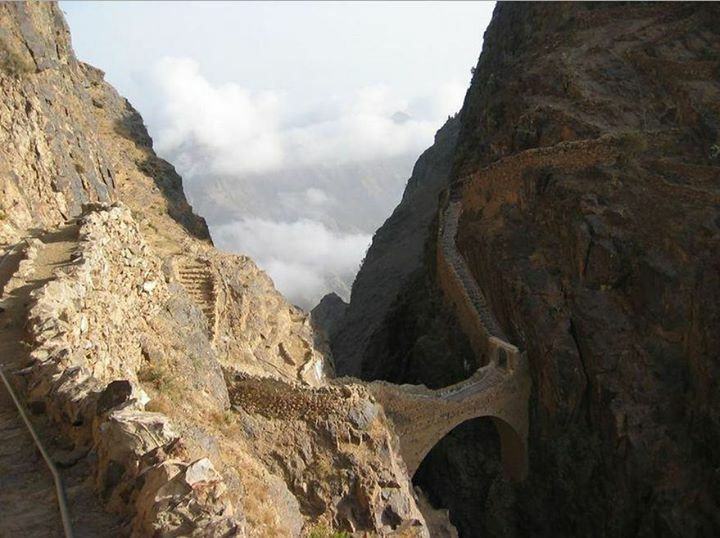 The Socotra is also spelled Sokotra, Arabic Suquṭrā, Island. 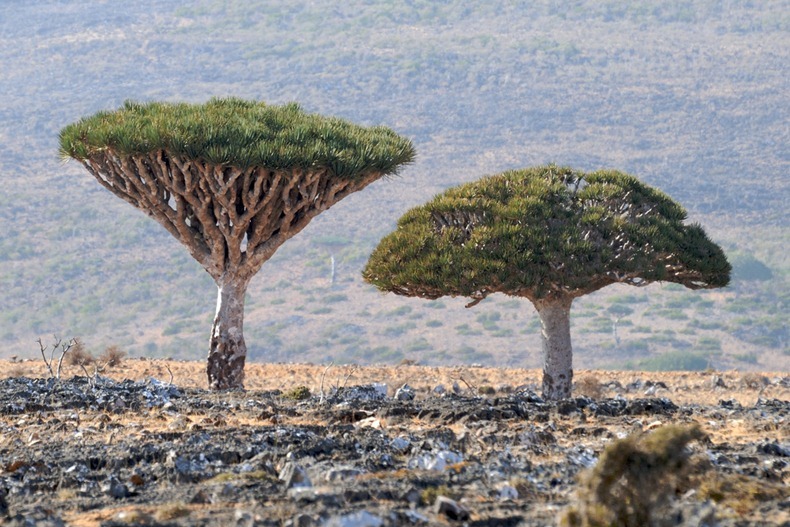 Actually, Socotra Island is an archipelago formed of four islands, near the Gulf of Aden. 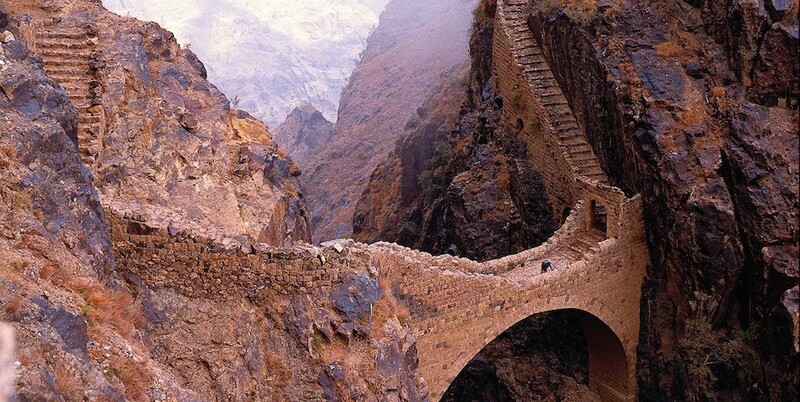 It is very isolated, and has a harsh, hot, and dry climate, used to be part of Africa six million years ago. The trees are out of Land of the Lost and the feeling you have is like nowhere else. 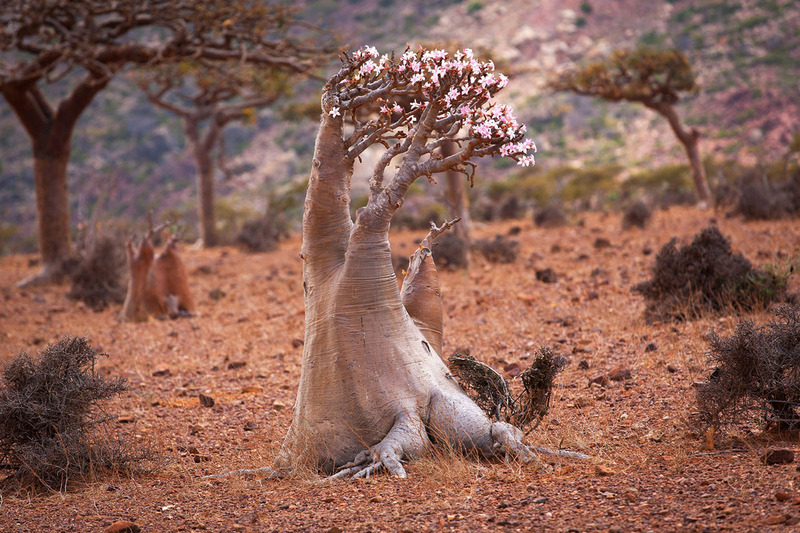 Socotra Island is swarming more than 800 rare species of plants of which more than a third are endemic. 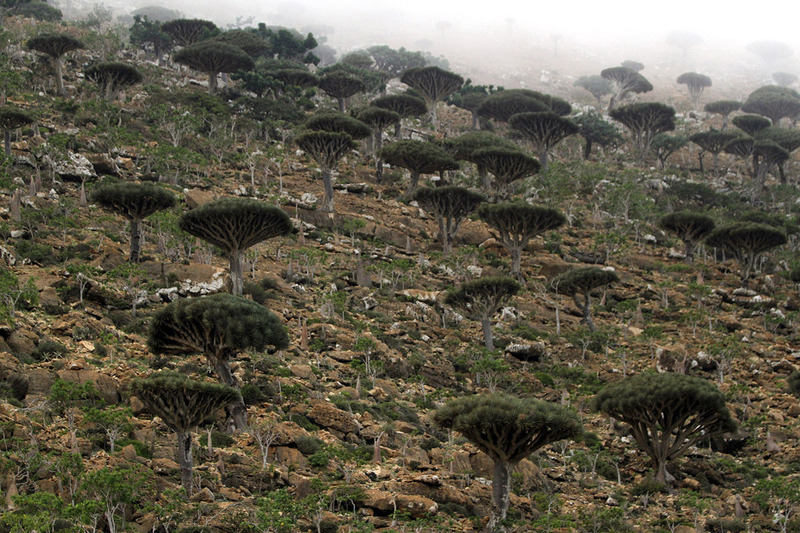 The extremely high levels of endemism also take place in Socotra’s reptiles. Also 90% of its reptile species and 95% of its land snail species do not occur anywhere else on the earth. In recognition of its distinct plant and animal life, the archipelago was designated a UNESCO World Heritage site in 2008. 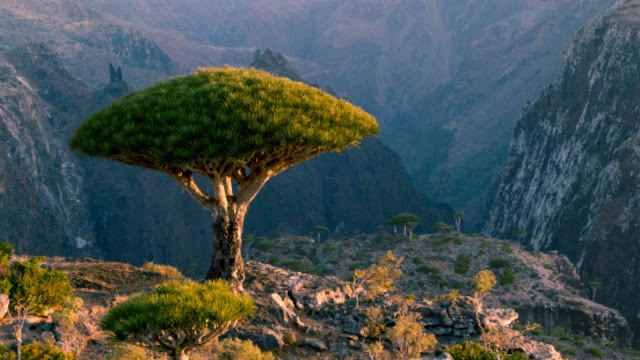 The Socotra Island has a rich fauna, including several endemic species of birds, i.e., Socotra starling, the Socotra sunbird, Socotra bunting, Socotra cisticola, Socotra sparrow, Socotra golden-winged grosbeak and a species in a monotypic genus, the Socotra warbler. 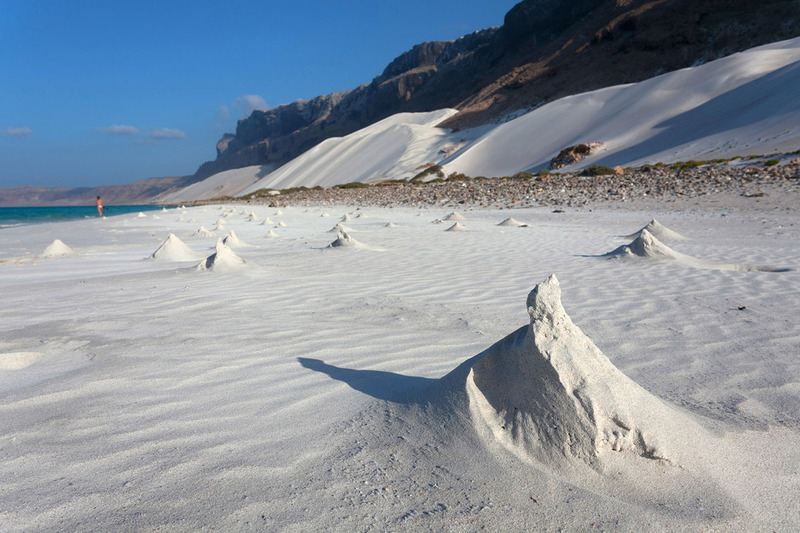 Socotra Island marine life is very diverse with 253 species of reef-building corals, 730 species of coastal fish and 300 species of crab, lobster and shrimp, and well represented in the property’s marine areas. 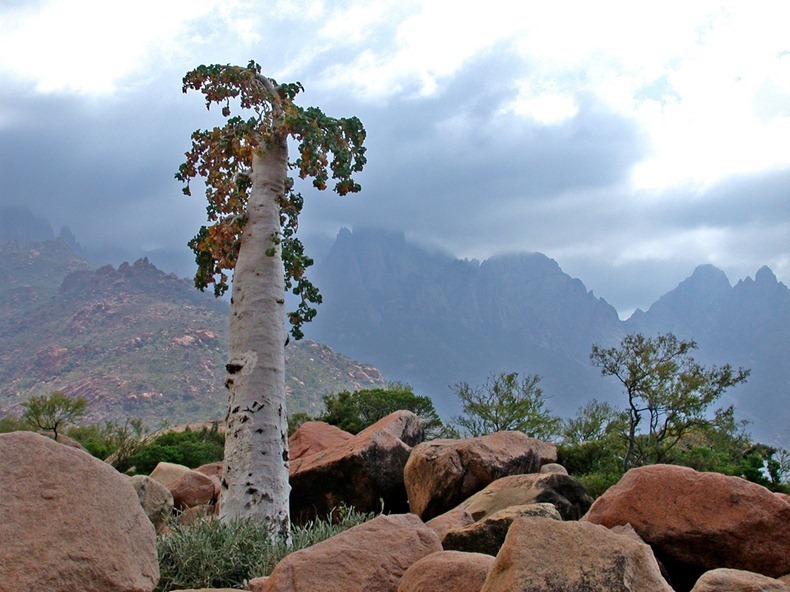 The Socotra Island is considerably inhabited, and has been for more than 2,000 years. 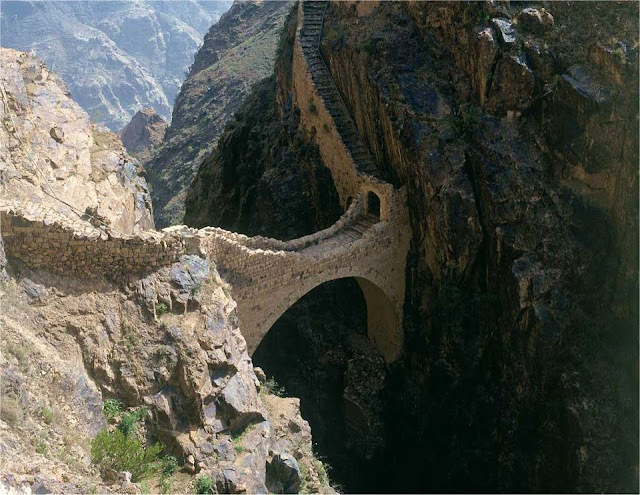 Almost 50,000 people now live on the main island of the archipelago, engaged with fishing, animal husbandry, and the cultivation of dates are the primary occupations of the indigenous population. 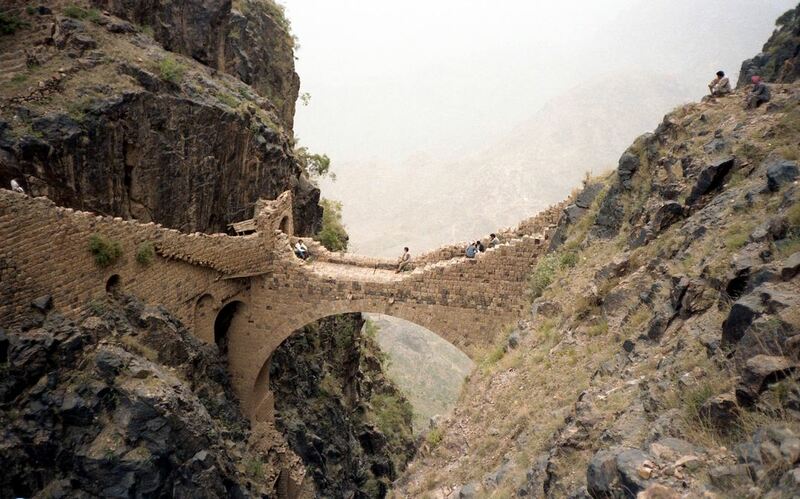 In 2010 a Russian archaeological team discovered the ruins of a city on Socotra dating to the second century. The island is also held by some to be the location of the original Garden of Eden, due to its isolation, biological diversity, and the fact that it is located on the edge of Yemen’s Gulf of Aden, which many connect with the ancient Sumerian tales of a paradise called Dilmun. 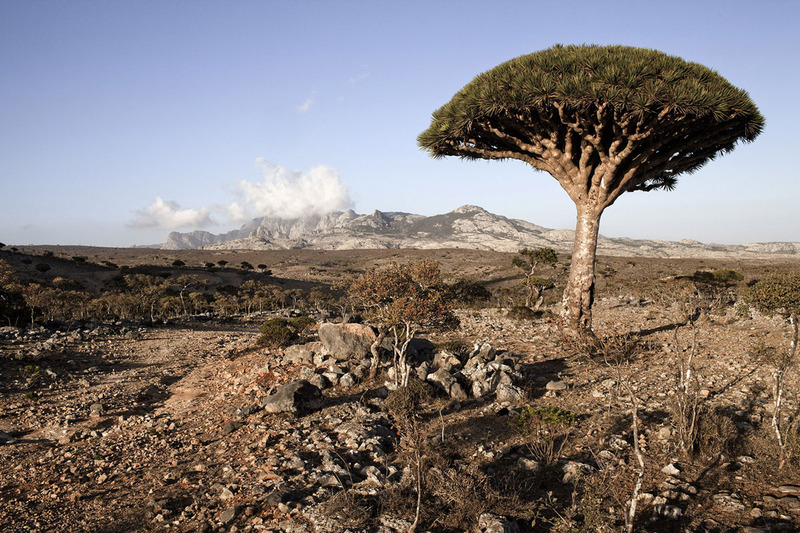 More than 250 million years ago, Socotra Island stood apart, when all planets were joined and most main life forms roamed freely. Socotra has been breeding many species of plants, birds and animals. 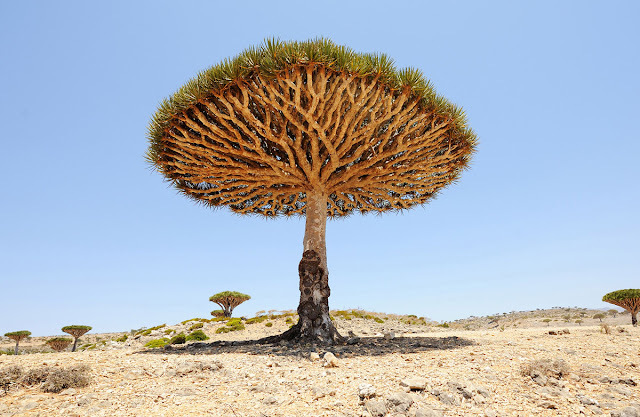 The most famous plant is secular Cinnabar or Dragon’s Blood Tree “Dracaena cinnabari”, which is an umbrella shaped tree. Locals have different superstitions about this tree, believed this tree has red sap thought to be dragon’s blood of the ancient. However, this plant is used in medicine, dye, paint & varnish, various endemic aloes, and for cosmetics. 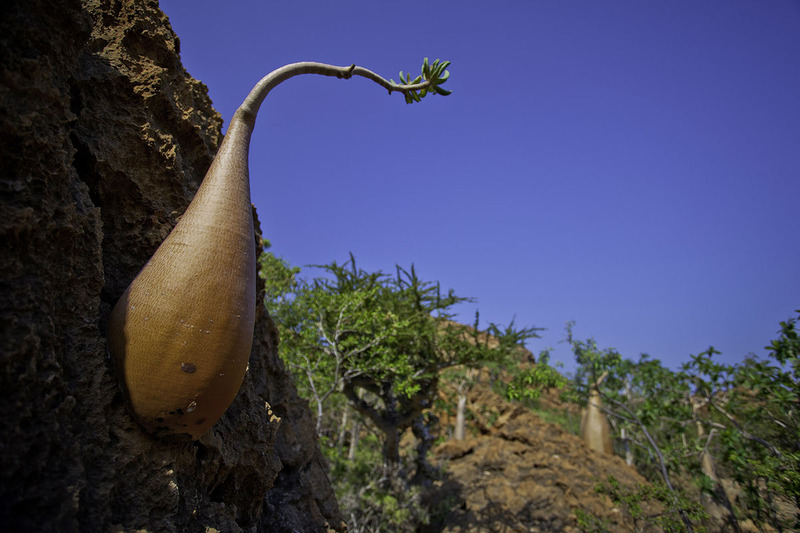 Socotra isolation from other land masses meant whatever evolutionary process the flora and fauna underwent never spread to the mainland. Another great plant is Desert Rose Tree (Adenium obesium), which appears to have some captivating forms that are trying to penetrate the rocky soil. 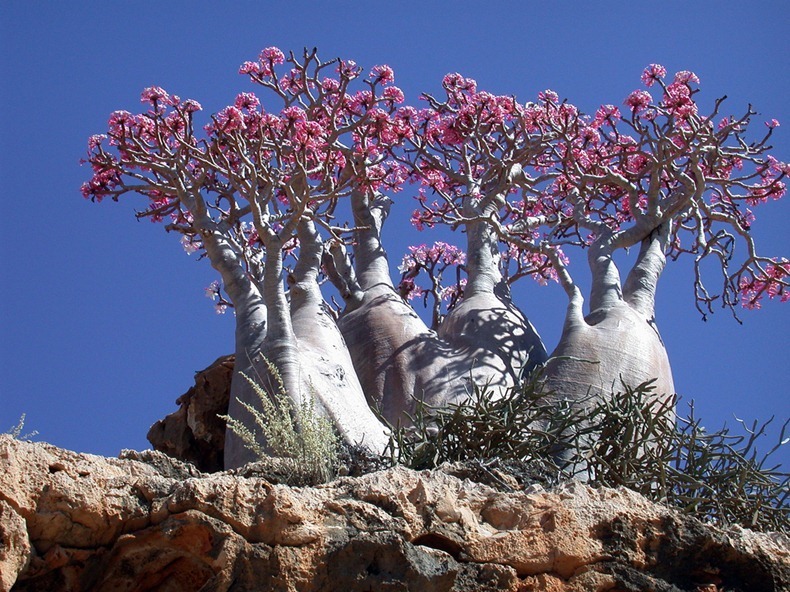 It also produces striking massive pink flowers in April. 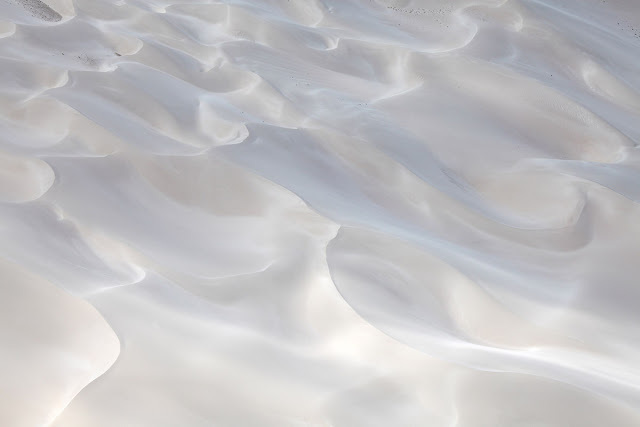 Its trunk is a precious reservoir of water for this area with a nearly desert climate and it can reach five meters in height and three meters in diameter. Other endemic plants includes the massive succulent tree Dorstenia gigas, the cucumber treem Moraceae, Dendrosicyos socotranus, the rare Socotran pomegranate (Punica protopunica), Aloe perryi and Boswellia socotrana. 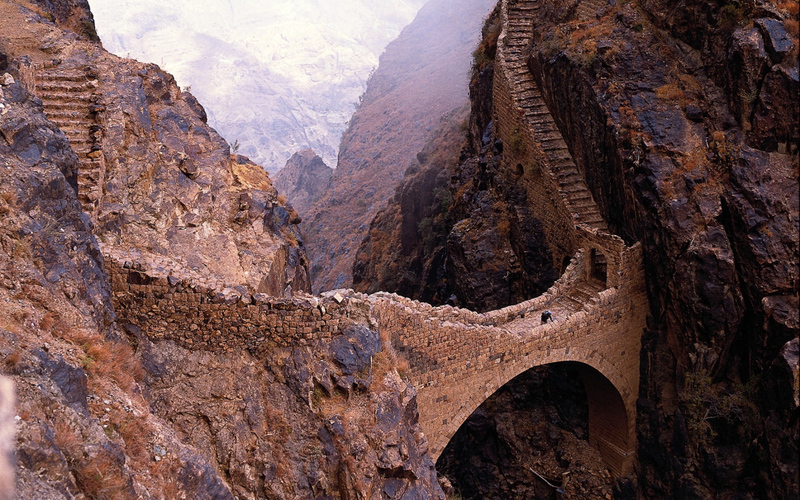 In the interior, nomads keep cattle and other animals and raise some crops. Socotra Island main exports are ghee (clarified butter), fish, and frankincense. 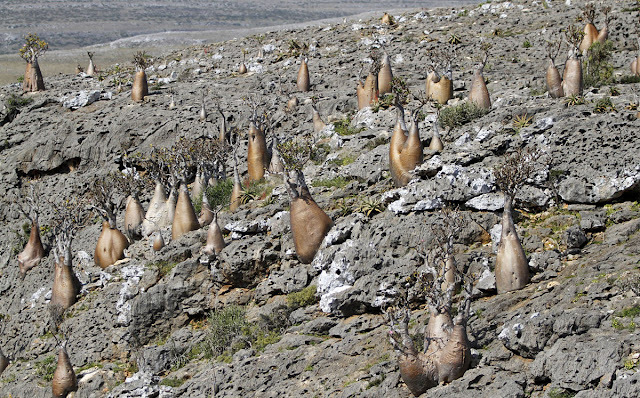 On the other hand, the only mammals native to Socotra are bats. 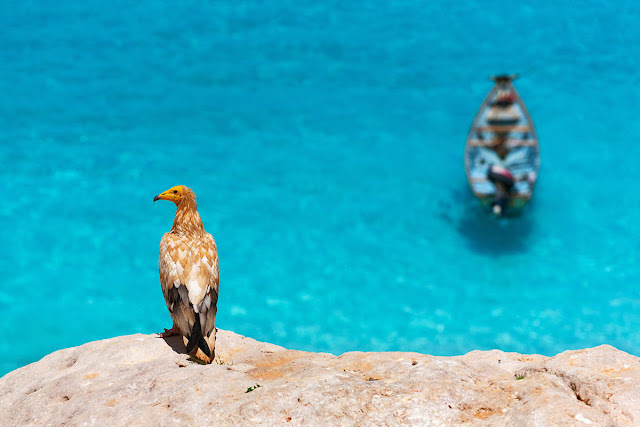 However, on the island there are many cats and dogs, which are much bigger than the European ones, reaching up to 27 pounds. 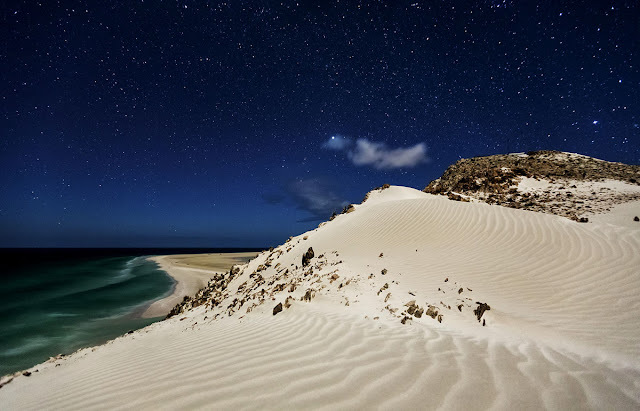 Socotra has unbelievable Alien beauty and natural habitat, mesmerizing place and welcoming, simple people. 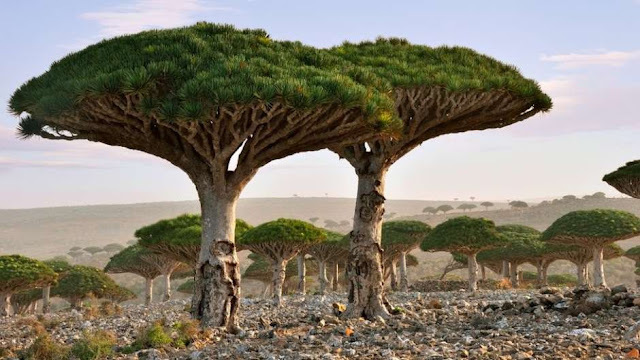 Socotra Island has airport facility. The best time to visit Island from October till April. 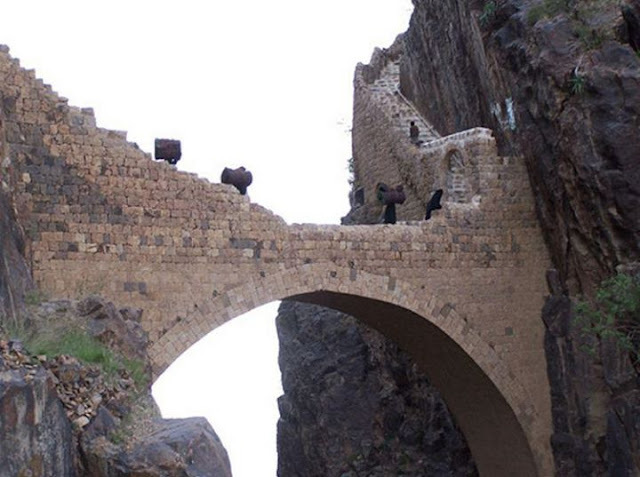 The other months have heavy monsoon rainfall, making it difficult for tourist survival and flights often cancelled. 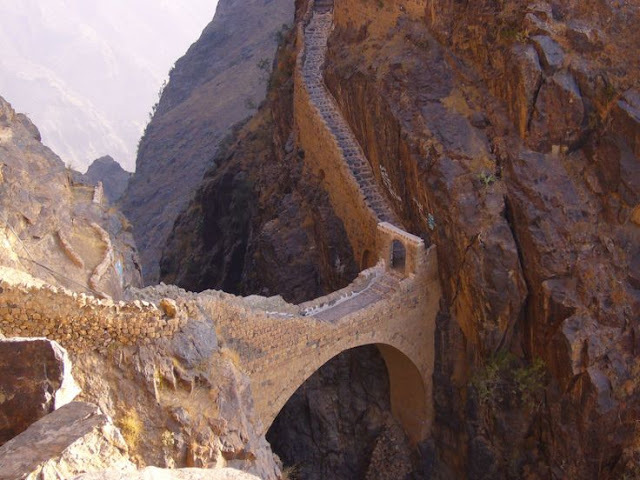 Moreover, keep in mind Socotra Island doesn’t have any well-established hotels, only few guest houses for travelers to stay.